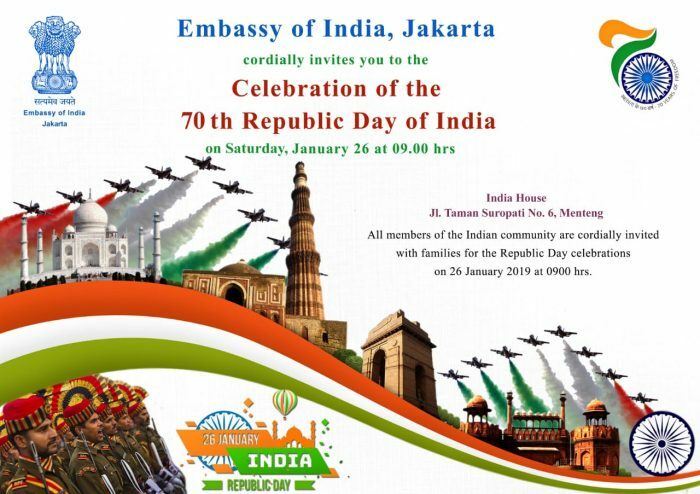 The Embassy of India cordially invites all members of the Indian community and their families to 70th Republic Day of India celebrations at India House, Jakarta. Saturday, 26th January, 2019 at 0900 hrs at the India House, No. 6 Taman Suropati, Menteg, Jakarta. All are requested to arrive by 0845 hrs. The program will start with the flag hoisting at 0900 hours.